Outline for Mac 3.3 Supports OS X PDF Services! “Print to Outline” provides functionality of OS X PDF Services. It’s great way to save useful information – web pages, on-line tickets and orders, articles, PDF versions of magazines, Microsoft Word or Excel documents etc. to Outline and then organize, annotate and store them. Standard Print dialog has ability to convert and save such information as PDF file to different folders or apps, including Outline. 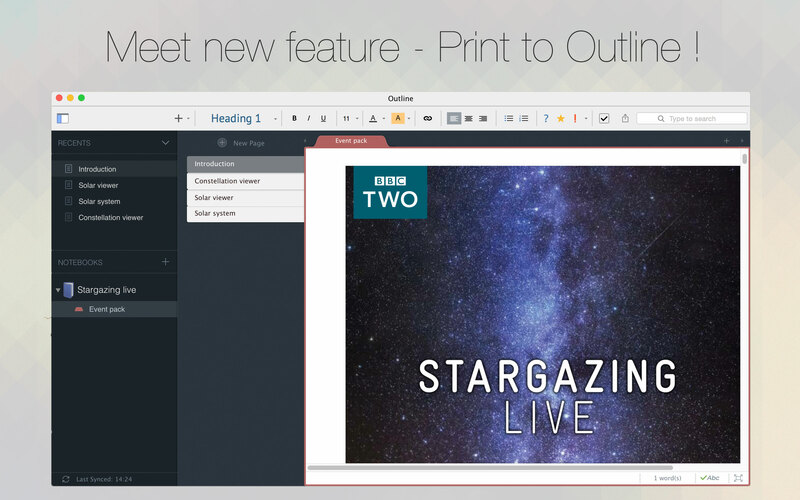 First, you need to proceed a few simple steps and install “Print to Outline” utility. The Full installation guide can be found here. Then go to the targeted page, file or app and press Command+P (or go to File -> Print), print dialog box will appear. Print dialog window allows you to set how many pages you want to print, so you can do the same in case of using “Print to Outline” feature. Very helpful thing if you need only several pages from a body of information. Click on dropdown PDF menu in the bottom right corner of Print window and you will see the list of all places where you can save your information, instead of printing. As you can see, this list depends on apps you have installed on your Mac and it can be managed manually at any time. Choose Edit menu and add Outline in appeared window, using “+” button. Now if you call print window in any application, clicking the PDF button will reveal options to save printable content in Outline as PDF attachment and printout in Inbox section of Unfiled notebook. 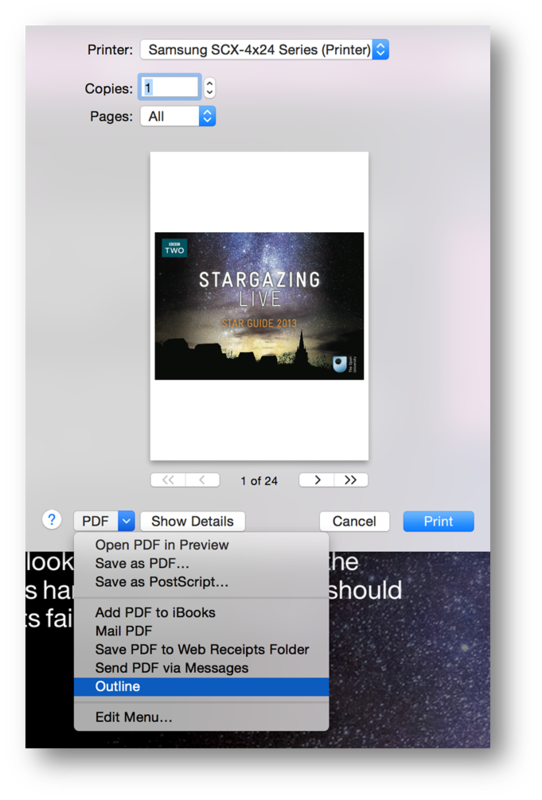 If you want to convert it back to PDF, right-click on Page -> Export to PDF and then Export Printout. Whether you simply browse the web or purposefully collect some data, you will always keep on hand this time-saving feature. Awesome thing, indeed!